After a teaching career of over 45 years, most of it spent at Colgate, Professor Jay Mandle retired as the W. Bradford Wiley Professor of Economics, Emeritus. 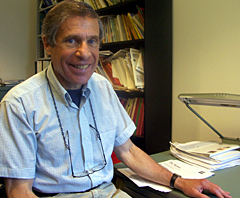 Jay earned his Ph.D. from the University of Pennsylvania and joined the Colgate faculty in 1990 as the premier holder of the W. Bradford Wiley Distinguished Chair in Economics. 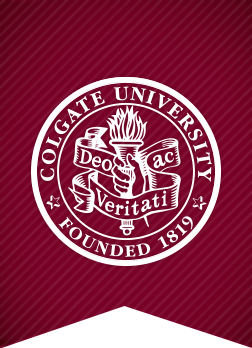 He arrived at Colgate after a 20-year teaching career at Temple University where he established himself as a leading scholar in the fields of African American economic history, economic development, and the effects of globalization. More recently he turned his attention toward American Democracy and Equality. Jay also taught at the University of California at Berkeley, Swarthmore College, Bryn Mawr College, Lincoln University,and the University of the West Indies; he taught as well as a Fulbright Scholar at the University of Guyana and Nankai University China. Jay is a highly prolific scholar and author of 14 books and over 100 articles and book chapters; he is also the co-editor of the “Globalization” issue of The Annals of the American Academy of Political and Social Sciences (July 2000). The Economics department wishes Jay and his wife Joan a wonderful retirement!